Visiting a state park is a great way to experience nature at its finest. We here at Bradshaw Automotive know of a few South Carolina State Parks that are worth visiting this summer season. Conagree National Park is known for its massive hardwood forest and sweeping waters. The Conagree and Wateree Rivers meet and carry much-needed nutrients throughout the floodplain. The park is home to a number of fun, family-friendly activities. Hiking trails and camping sites are two activities that visitors love. Canoeing and fishing are on the list as well. 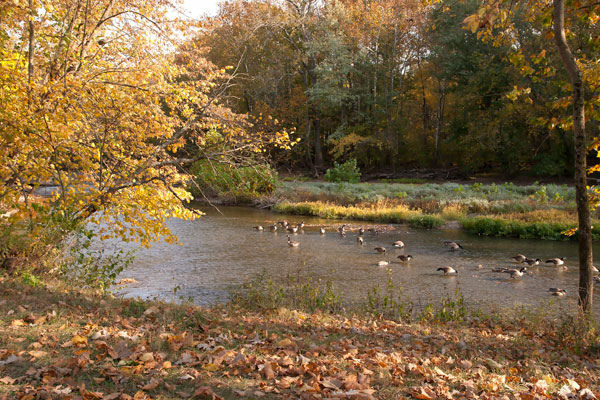 There are few parks as welcoming to families and nature lovers as Sesquicentennial State Park. The park is home to a 30-acre lake that allows fishing and canoeing. Visitors can rent fishing and pedal boats for an afternoon of fun. The park also features a small gift shop, picnic shelters, multiple playgrounds, and more. Bird watchers will find that the number of bird species and available hiking trails make Sesquicentennial State Park a great place to spend the day. Table Rock State Park holds a tremendous amount of scenic areas through its 3,000 acres. The hiking trails lead to the 80-mile-long Foothills Trail. Hikers will enjoy the sound of mountain streams and the roar of waterfalls as they travel through nature. The state park is also home to a number of cabins and other fascinating structures.